Abstract: Want to get rid of Windows Vista? Discovered that none of the software (and even some hardware) you've been using for years is compatible? You're not alone... PCSTATS guides you down the path to getting your old programs working once again by downgrading Vista back to good old Windows XP. There is a semi-secret frill to owning either of Vista's least loved versions. If you have purchased a computer which came with an OEM (bundled with the computer rather than retail) version of either Vista Business or Vista Ultimate, you can legally move to Windows XP Professional without needing to attain an XP license key (though you will need a valid key to get the XP installation going, apparently). Essentially, you install Windows XP Professional OEM version on your computer, using any valid OEM XP Pro disk and license key, then instead of activating XP over the internet, use the 'call Microsoft' option in the activation window. Provide the automated assistant with your Windows Vista license key and wait politely while it gets confused and puts you on the line with a real human being (or licensed Microsoft simulacrum of same) and explain that you are invoking your downgrade rights as detailed here. 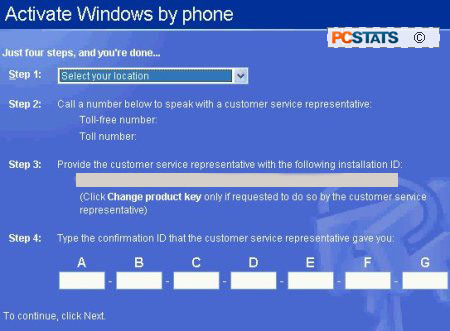 They will provide you with an activation key for Windows XP Professional. This privilege may not last much longer, so get on it while you can!